This exhibition will revisit an important 1978 exhibition, Document of our Times, and the work of photographers, Lawrence McLagan, Lionel Stevenson and Jake Werner, hired to document contemporary life on Prince Edward Island. 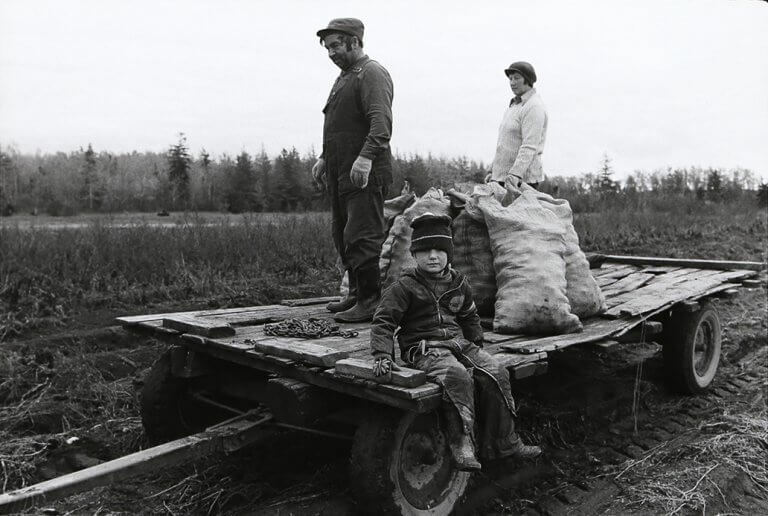 A selection of these images, along with the work of other documentary photographers active in PEI in the 1970s, such as George Zimbel, Richard Furlong, and Edith Robinson, will revisit a moment when preserving evidence of the culture and landscape of the Island seemed particularly urgent in light of their rapid transformation. Curated by Pan Wendt. Women Artists of PEI, 1964 to the Present at the Confederation Centre Art Gallery draws upon more than half a century of collecting to showcase the rich and diverse work of over 40 female artists highlighting mentors such as Elaine Harrison, Erica Rutherford and Hilda Woolnough. Confederation Centre Art GalleryElaine HarrisonErica RutherfordHilda WoolnoughLisa TheriaultPan WendtProfessional Theatre Network of PEIWho's Your Mother? 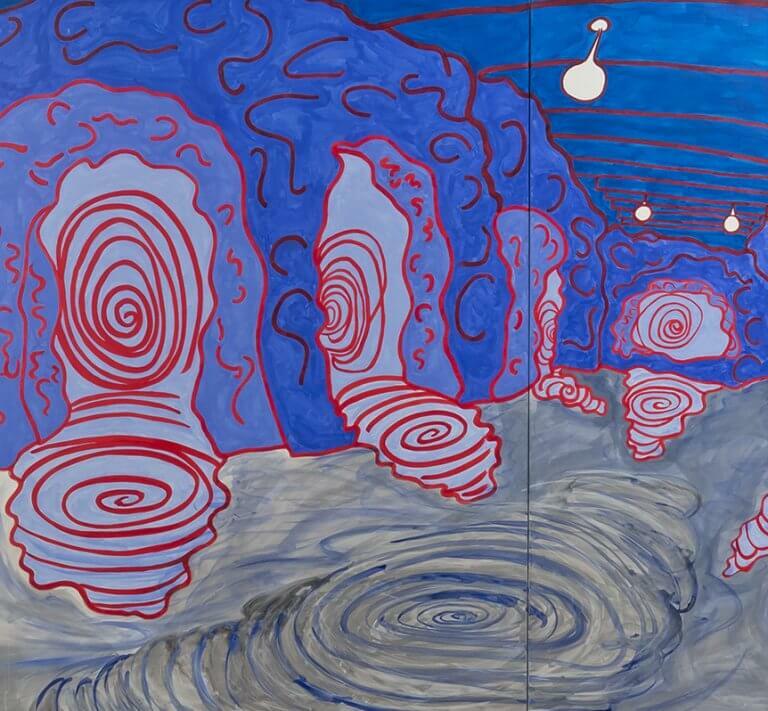 An exhibition that launches a national tour of space activations by the Halifax painter, performer, and installation artist. Based in Halifax, Mitchell Wiebe has been something of a cult artist in Canada for decades. 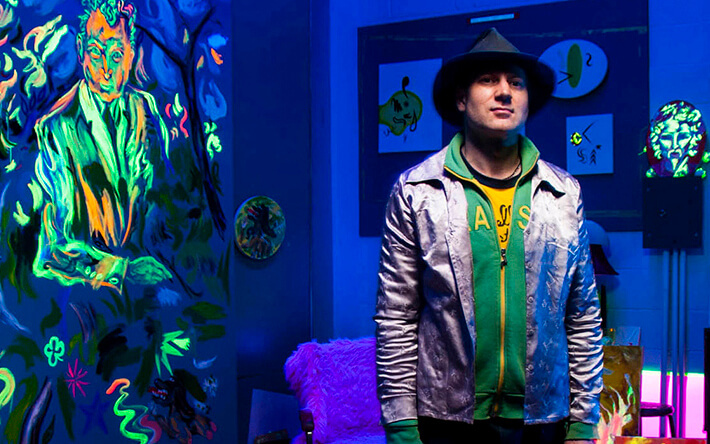 Known for his instantly recognizable paintings of fantastical creatures and warped worlds, Wiebe is also a performer who has fronted numerous experimental bands. Over the past decade Wiebe has branched out into installation art, and this new show involves his occupation and response to the Brutalist architecture of the Confederation Centre. During the run of the exhibition, the gallery will feature a number of performance pieces involving collaboration with artists and musicians. The show kicks off a national tour, involving a series of responses to gallery spaces across the country, and will feature a publication that includes critical essays by prominent curators in Canada and the United States. Mitchell Wiebe received his M.F.A. at NSCAD University, and his work was included in the national survey Oh, Canada, organized by the Massachusetts Museum of Contemporary Art. P.E.I. viewers may be familiar with his many contributions to Art in the Open and afterimage, including collaborations with Graeme Patterson, Ray Fenwick, and Russell Louder. The Confederation Centre Art Gallery will celebrate its winter and spring exhibitions with one of its ever-popular opening reception events on February 24 at 7:00 p.m. All are welcome to come see the Gallery’s new lineup featuring a contemporary Island artist, an early 20th Century amateur Island photographer, videos by 11 well-known Quebec artists, a collection exhibition, and a mid-career survey of a New Brunswick artist’s print and installation works. “The opening is a great opportunity to catch up with friends and check out several new exhibitions and an impressive range of art-making. It promises to be a lot of fun,” says Kevin Rice, Director of the Gallery. New exhibitions include Norma Jean MacLean’s Accumulated, Positioned, Reflected, curated by Pan Wendt and a part of the Gallery’s Studio Watch Series that is supported by the RBC Foundation. Wish You Were Here: W.S. Louson’s Picture Postcards featuring images of PEI landscapes was curated by Harry Holman. Motion includes short videos by Jean-Pierre Aubé, Patrick Bernatchez, BGL, Caroline Boileau, Michel de Broin, Pascal Grandmaison, Nelson Henricks, Myriam Laplante, Eduardo Menz, Nadia Myre, and Chih-Chien Wang. Motion was organized and circulated by Galerie l’UQAM and curated by La Fabrique d’expositions, a collective of Montreal curators, Julie Bélisle, Louise Déry and Audrey Genois. Luminous looks at effects of light and colour in eleven works from the Gallery’s Collection and was curated by Kevin Rice. Eric Edson’s Other Stories, includes the large-scale installation ruins (2017) alongside a selection of Edson’s work that spans two decades, and was curated by Pan Wendt and organized collaboratively by the Confederation Centre Gallery and Owens Art Gallery, Mount Allison University. Several featured artists will be in attendance at the opening and attendees can enjoy light snacks, a cash bar, and live music provided by SOPA music performance students. A young Island artist, a gifted amateur Island photographer, and videos by 11 well-known Quebec artists make up the Gallery’s new winter lineup of exhibitions. Norma Jean MacLean’s exhibition Accumulated, Positioned, Reflected is a selection of her recent work where she explores the aesthetics of improvised layering, piling, and accumulation. MacLean is a part of the Art Gallery’s Emerging Artist Program that is supported by the RBC Foundation. Curated by the Gallery’s Pan Wendt, the exhibition will be on display from January 13 to April 28. William Steele Louson was a gifted amateur photographer from Charlottetown. Wish You Were Here: W.S. Louson’s Picture Postcards of Prince Edward Island showcases his photographs of picturesque Island landscapes that were reproduced on postcards. This historical exhibition captures a period in the 20th century when the public interest in buying and selling postcards was a new mania. Curated by Gallery guest, Harry Holman, the exhibition will be on display from January 20 to April 21. Motion is a visual anthology that shows the work of 11 Quebec artists. The theme of “motion” is understood in two ways: as movement and as a proposal. This exhibition was organized and circulated by Galerie de I’UQAM and curated by La Fabrique d’exposition, and a collection of Montreal curators: Julie Belisle, Louise Dery and Audrey Genois. And this is your last chance to see John Greer: Material and Metaphor exhibition which closes January 14, 2018. The Gallery winter/spring hours run from January 1 until May 20, welcoming the public from Tuesday to Saturday, 11 a.m.- 5 p.m. and Sunday 1-5 p.m.
A description of each exhibition can be found on the website at http://www.confederationcentre.com/en/exhibitions.php.